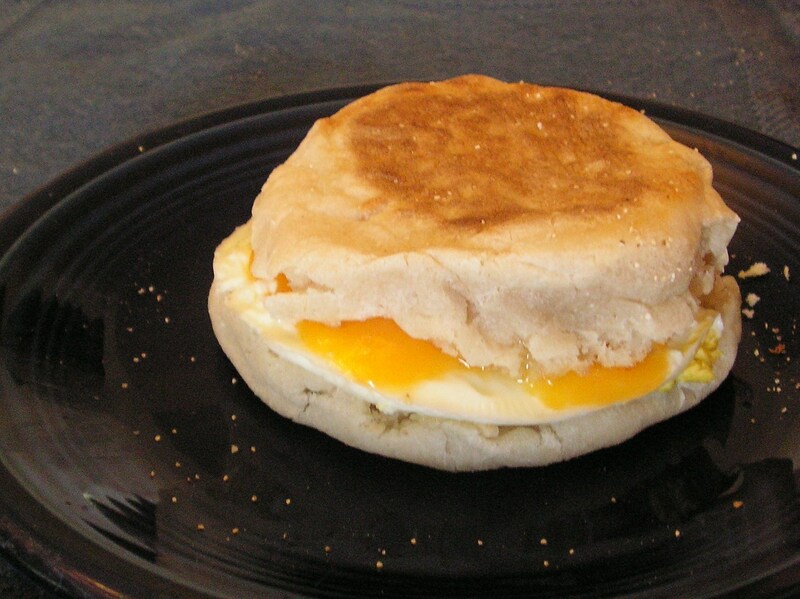 Last month, I awoke early one fine day and made my dear husband and myself Egg McMuffins… almost just like McDonalds. English muffins, an egg, a cheese slice and 1.5 pieces of bacon broken up to fit in the muffin. I’ve made these for years, but for some strange reason, my two boys never wanted them, or can’t remember them, have never had them, or some other strange reason. The very same day last month when I awoke early and made the English muffins both boys viewed the delicacy and requested said muffins. It was like the window of heaven opened and the ambrosia was discovered! Since that momentous day, I’ve made approximately 57 Egg McMuffins, but who’s counting? Yesterday both boys had two for breakfast and then late in the afternoon, #1 son was found in the kitchen making his own Egg McMuffin! It’s as if they are protein deficient or something. My boys usually aren’t the picky type, but #1 son requested REAL sliced cheddar cheese instead of the cheap-o American sliced cheese on his Egg McMuffin. I’m only too happy to slice REAL cheddar cheese, after all, I’m the mother. Yesterday,the same exact day #1 son was found in the kitchen making his own Egg McMuffin, I took a trip to Costco and bought eggs, cheese and the grand-poo-bah size package of Thomas’ English Muffins, to ensure a plentiful supply. I’m ready for another week. My only beef with Thomas’ is the massive collection of little grainy thingees on the bottom of the muffins. They feel like cornmeal or Cream of Wheat, but they aren’t. They’re smaller and more annoying. The little grains ALWAYS end up on the counter and the floor no matter how careful I am. I even brush them off into the sink, but they magically appear on the floor. Yes, Thomas’ are the original nooks and crannies, but I’m starting to favor the Walmart no-name stacked English muffins. Some of you who know me well will find this tale tremendously, highly, even ridiculously amusing. I awoke this morning at 6:58… even though the clock said 7:03…. I’m so onto Rick’s trick of setting it ahead. I jumped into my bathing suit, (ok, maybe jumped was a bit of an exaggeration), grabbed my water bottle, Nike goggles, cover-up, BIG towel and headed out the door to meet Donna at the Tramonto lap pool. Clouds are not often seen in the great blue skies of Phoenix, but this morning they were plentiful. When clouds do make an appearance, they are often white, puffy and here only for show…. no action. This morning, some of their uglier grey cousins showed up to bare their teeth. Donna and I felt the sparse raindrops but jumped in the pool anyway. There was actually blue sky peeking at us from straight above. We swam for 18 minutes and both surfaced simultaneously at different ends of the pool…. to hear rolls of thunder break the silence of the morning. You’ve never seen two women scramble from a swimming pool so quickly….. earlier than originally planned, but SAFETY FIRST! I’m always reading, as some of you know. I always have a book with me. This cloudy, thunderous morning was no exception. Being that I was ahead of schedule, I went through Micky Dees for a $1 breakfast burrito. I parked in the Albertson’s lot and slowly devoured my handful of Mexican goodness while reading International Adoption: Sensitive Advice for Prospective Parents. I bought it yesterday afternoon and I’m on page 95. It’s a good read. I’m relating to the two women’s adoption fear, joy, anger, sadness, doubt, elation, etc. etc. 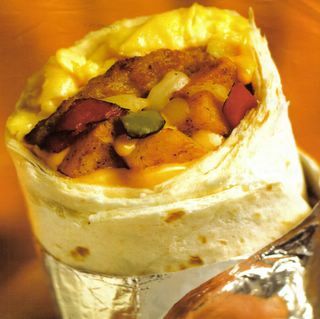 I finally realized that the breaky burrito was gone and I should probably head home to greet my children, who will undoubtedly be lying on the couch watching a movie…. and eating crackers. My plans were foiled by a dead car battery. Sheesh. My first thought was “There is no way I’m asking for help in my bathing suit!” I pulled my AAA card out of my wallet. (Anyone remember a few years back when I discovered I had been removed from the AAA family plan???) Well, my card expired on July 31, 2009….. SIX DAYS AGO. Stop laughing. I phoned Rick to inquire of my AAA status. He confirmed that I was indeed still covered by roadside assistance, but suggested I phone a friend instead of waiting an hour for my friendly tow truck driver. I phoned Donna… no answer. I phoned my Mom… Dad was gone. I phoned my Dad… he was downtown getting his tires rotated. I phoned Jill, who told me her long tale of woe regarding a wedding-gift-headboard-nightmare that was still ongoing. Finally I asked if she could come save me….. I told her that I had wet hair and was in my bathing suit. She did her normal loud guffaw and agreed to come. I continued reading. Jill pulled up and when I climbed out of the van in my bathing suit and cover-up, she was positively disappointed that I had my cover-up. She was hoping for just the bathing suit in Albertson’s parking lot. Anyway, before we electrocuted ourselves with the jumper cables (even though we knew that red stands for the blood of Jesus and is positive) a kind elderly gentleman showed up and took care of business for us. All this before 8:30 a.m.!!! Minding my own business…. (isn’t this how most horror stories start???) … Keeve and I were at Micky D’s this morning shoveling hotcakes and sausage and breaky burritos. We had two hours to KILL (maybe not the best choice of words here) while Larisa was at a drama meeting. So I brought my Coupon $ense box and was the psycho with the scissors in the corner of the dino-playland. Keeve was running in and out of playland with 5 or 6 little kids who only spoke Spanish. 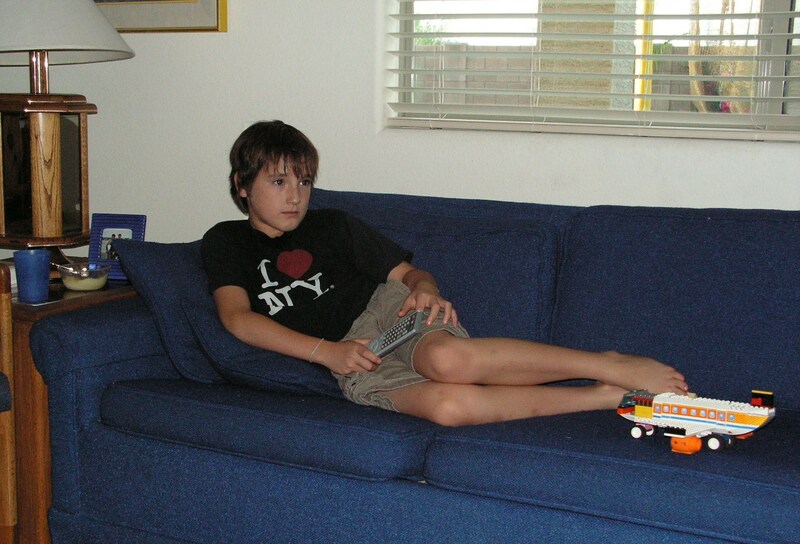 Isn’t childhood great? You don’t even have to speak the same language to play together. :o) While darting in and out of the yellow tubes, my son got a straw jabbed in the back of his mouth. The pain made his eyes water and the taste of blood lead him to the napkin dispenser. So as I’m locating W232 a $1.50 coupon off Doritos Salsa (which is on sale at Safeway for $1.69!!!) Keeve shows up beside me with a rolled up bloody napkin in his mouth. This first thing I thought was he pulled a tooth out. Nope. With napkin wad filling his mouth he pantomimes the straw going in and the tears started. I did look in his mouth, but I looked at his cheek and saw a little dot… a microscopic dot. He continued to change the medical gauze for ten minutes until it stopped bleeding. I thought he was fine. We ventured off to Safeway and saved $119 while only spending $53. Thankyouverymuch. Then to pick up Larisa and on to home. We unloaded groceries and Keeve poured himself a bowl of Trix, because Trix are for kids. The first bite brought on more tears and I wondered if he needed a nap. Mothers are tele-pathetic sometimes, able to determine the needs of their children with precision. He said it REALLY hurt. So I looked again to see if the teeny dot had grown. Then I saw IT! OK, I probably should not have yelled, “OH MY WORD!” But I did. (spoiler warning for those with squeamy stomachs) There is a 3/8 inch hole in the back of his mouth. I remembered the over-sized straws at McD’s. No wonder he cried. I called the 24-hour nurse… who called back in 78 minutes. Let’s just refer to her as Speedy. Speedy said there is nothing that can be done if there is no bleeding. It will heal on its own. I told her that it hurts when he eats. Speedy said to give Keeve pain reliever, jello, milkshakes, pudding and ice cream. You know, the little poke might be worth THAT diet plan!?!? Just a thought. Keeve is on the couch full of banana pudding and blue jello… watching his third movie. He says his throat is “a little better.” Maybe a milkshake and a few more movies will help. Yes, something is FREE this Thursday and Friday mornings (Feb. 28-29, ’08) at your local McDonalds…. the new McSkillet Burrito. Hey, if it’s partially Mexican and as my sister would say, If it’s free….It’s for me. On the website you can mouse-over the picture of the burrito and it tells you the name of each ingredient you are looking at……. but (on the website) what in the world is the white little nameless strip in the bottom right?????????? Yes, your guess is as good as mine. I’m thinking onion, maybe mushroom??? I won’t go into the myriad of other white, strippy, pseudo-food morsels that crossed my mind. Before you run out the door Thursday morning…. I happened across the nutritional information for this sausagey- homemade-breakfast tortilla-filled handful of goodness. It contains 610 calories, 330 from fat. The fat count is 36 gram, a whopping 56% of your daily value. Saturated fat is at 14 grams, 69% of your daily value, and there is a half gram of trans fat. The cholesterol count is awful, containing 137% of your daily value. Now, if you are eating only one meal on Thursday or Friday, I would still recommend this, as most of your daily caloric needs for fat will be met in this one meal. :o) You should probably wash it down with some Kashi and prune juice when you get home. Just trying to share the good news with friends. Please let me know how it was if you try it.